While the Cat in the Hat is a longer children’s book and has several different scenes, the story is easy to follow. A cat comes to the home of a little boy and girl, does a lot of crazy, funny things, and then leaves. Doctor Seuss was great about writing for children, NOT for parents. 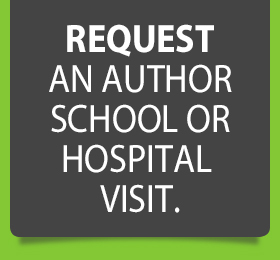 Many authors today think more about the parent’s reception to a book rather than the children listening to the stories, and this make stories difficult for children to read. Encourage your children to write simple stories. Doctor Seuss is the best at creating the weirdest characters possible. There are nerkles, seersuckers, and ooblecks to name a few. Kids love weird and made-up things, because they are usually fun, creative, and colorful! I remember when we were writing the Purpee the Purple Dragon books, we were tempted to use some make believe animals, but my wife and I overruled the kids and stuck with traditional animals – Doctor Seuss steered clear of traditional. The Cat in the Hat contains an awkward cat, a talking fish, and Thing 1 and Thing 2. Challenge your kids to make up new objects and animals when they draw pictures, don’t just ask them to draw a dog or a cat. In similar fashion to #2 above, Doctor Seuss often uses rhymes with made-up words. While some parents may argue that using words that aren’t found in the dictionary may negatively affect a child’s vocabulary, I would disagree. Using these words challenges children to be imaginary and open to change. Things won’t always go as planned in life, so Doctor Seuss adding an incorrect suffix to a word in order to complete a rhyme, may be analogous to a child having to be flexible in their lives for whatever reason. Doctor Seuss had a way of implementing amazing shapes and colors into his stories. I don’t need to explain the benefits of exposing children to different shapes and colors, not only does this facilitate learning but the variations engage the children and keep them on their toes. Encourage your children to draw shapes and colors in their art projects, even if that’s all they do. Don’t get caught up all the time with there having to be a meaning in their artwork. The Cat in the Hat ends by asking the reader – what would you do? Doctor Seuss was great at prompting children to continue to the story in their head. Many adults get upset if a book or movie has an ending that leaves them hanging, however young children are the opposite. They love trying to make up their own stories or endings. Next time you tell your child a story, ask them to come up with the ending. If you can’t tell by now, our family are huge Doctor Seuss fans and he certainly was one of the inspirations behind the Purpee the Purple Dragon book series. 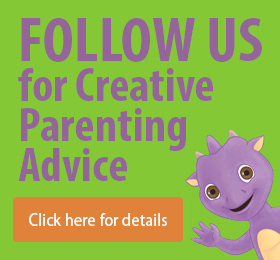 I hope this post inspires you to push your kids to be more imaginative in everything they do. 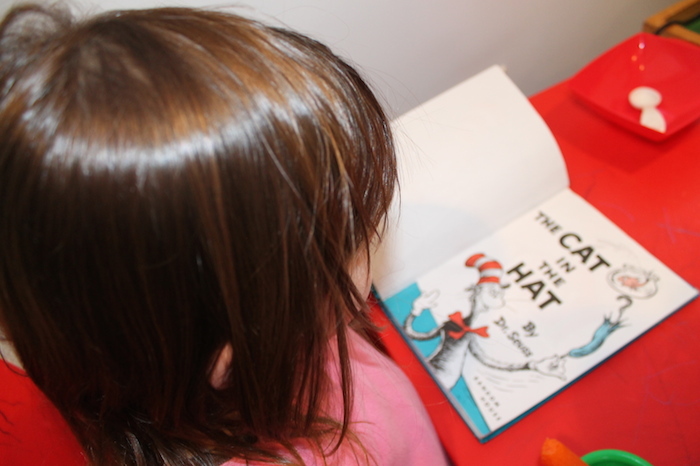 I have to go now, my daughter wants me to read her The Cat in the Hat – again…..